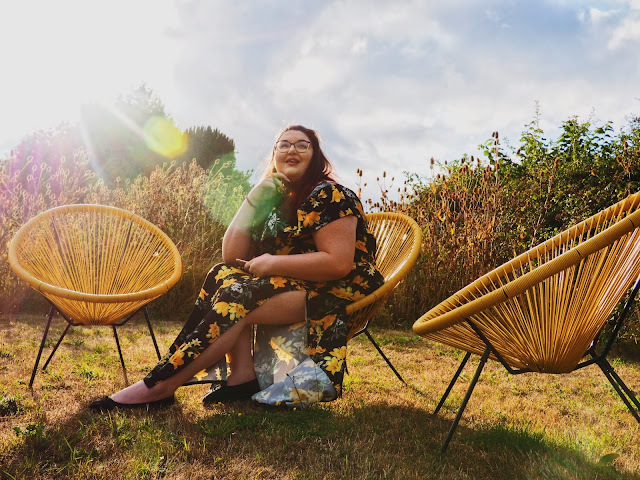 I know we're a few days past fireworks and disco dancing but I'm still in new year mode, so I wanted to talk about why I'm not setting actual "goals" for 2019. Every year I review my goals for last year and set some more for the year ahead, and every Christmas I look back and get disappointed that I haven't ticked them all off. However, the issue isn't me not trying hard enough, it's simply the fact that I've already completed the easy ones - my goals now require a lot more work and some take a long time to achieve. Instead of goals I'm creating a bucket list for this year. So, here's my list of "not goals" for this year, and how I plan to achieve each one. Hopefully this helps you too! Don't get me wrong, I will always be a cruise ship addict but there's only so many places that you can see when you're cruising from the UK unless you do a grand voyage, and being totally honest I don't happen to have £10,000 lying around. There are some beautiful places that I could visit but they're more than an hour inland. Also, being able to fly somewhere and properly explore that place over the course of a few days would be amazing. I want to go somewhere familiar or where I know has good public transport so I don't have to worry about getting to and from the airport. I also need to save up a bit as Christmas was pricey! But after that I just need to book it and go. I've gotten seriously addicted to travel recently, and with that comes the want to see everywhere I possibly can. I love visiting all the typical places in Europe, but I want to travel further and see the the world a bit more. I think, at this point, I need to refer back to bucket list item number one. I know I can visit other continents on a cruise ship but without flying it would be really expensive. The first thing to tackle is getting on a flight, then I can visit a new continent. I realise that for me a year ago "scary" was just travelling on my own, but now I've become a bit addicted to getting myself out of my comfort zone - I kind of hate myself for it but I've started living to feel that knot in my stomach when I'm doing something that gets me on edge. First I need to find something - I'm lucky enough that I've ticked quite a few things off of my list in the last year. I know that "getting on a plane" could tick this one off too, but I think that's a bit of a cop out. If you have any ideas, let me know. Ever since the first cruise in 2017 I've gotten a bit addicted to new experiences - a few months ago we went on a "relaxing family holiday" and I went on a camel and threw myself down a giant hill in a basket so at this point I'm pretty much up for anything so if you have any suggestions let me know. First I need to decide on something, then I can work out where I need to go and plan towards it. I know it's a bit vague but I'm open to ideas. Right, that's it for this year. I've decided I want to keep my bucket list small and my goals vague so I have more chance of actually completing them. I found setting them out like this really helps, so if you're trying to stick to any goals this year I'd recommend giving this a go! Have you got any suggestions for my "try something different" this year? If so please let me know in the comments or on Twitter! lovely bucket list .I hope to travel more this year too.